According to the latest Ipsos Media Atlas readership survey, all seven major publications of Sing Tao News Corporation (STNC) recorded readership growth, with the Headline Daily notching up a new high of 1.25mil readership. In face of keen competition in the media market, the group has succeeded in maintaining its popularity and mainstream status with its professional approach, quality content, and strategic positioning. The group’s wide range of titles spreads across the mass media to vertical and premium segments, covering education and parents, recruitment and management, and more, while its major readership covers the middle to upper classes. 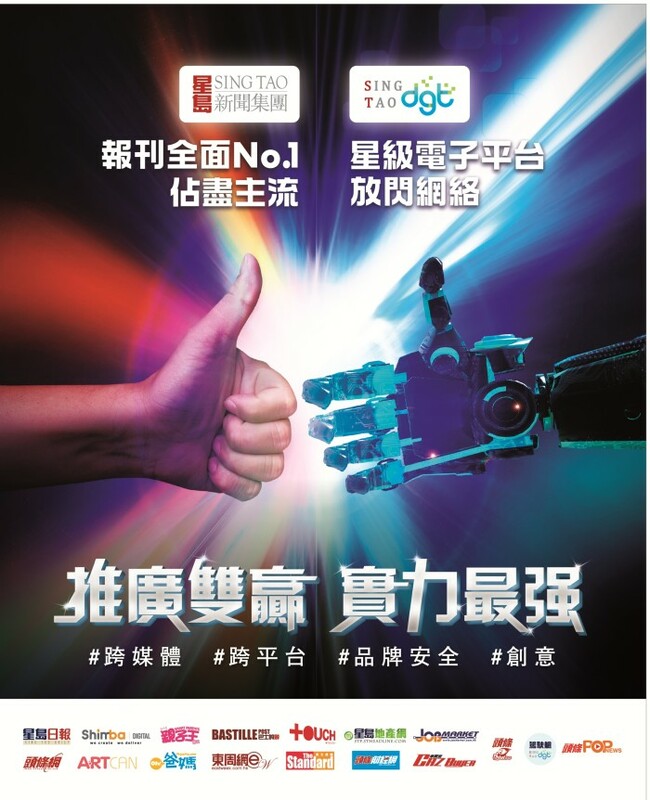 To highlight its outstanding performance across the board, STNC recently launched a series of branding campaigns which has achieved good impact and received positive feedback. Meanwhile, it has further extended its competitive edge and bolstered market awareness of its well-established multiple and vertical digital platforms. The Group shows the market its dedication in providing online to offline (O2O) complete solutions tailored to marketers’ needs. For instance, in addition to leading digital players like Bastillepost, Ohpama, Headline Jetso App, the group also offers a full range of quality digital and social platforms, like ArtCan, Cars, Sing Tao education and property web and app, including the newly launched Smart Parents Popnews Channel, and more. Furthermore, the group has set up a new digital marketing company, Shimba, early last year, to provide one-stop marketing solutions with multi-platform access and comprehensive print-to-digital services. This article was brought to you by Sing Tao News Corporation. Allianz Malaysia Berhad has appointed Zakri Mohd Khir as CEO. ..